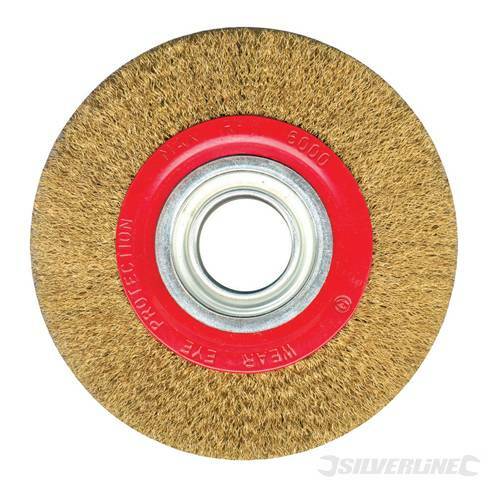 Brassed Steel 6” wire wheel for bench grinders from Toolzone Tools. 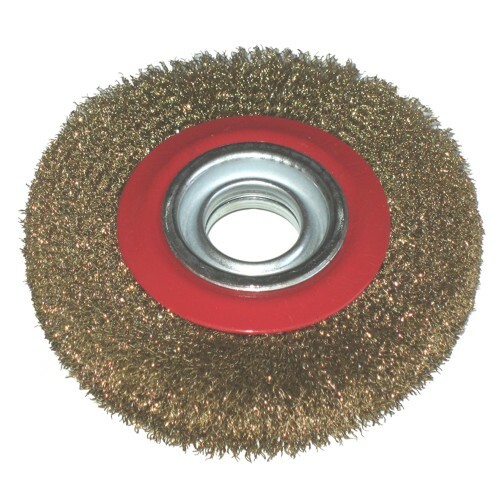 The wire wheel is ideal for deburring, removing rust and cleaning surfaces. The wire wheel comes complete with a set of plastic bushes to fit a wide range of shaft diameters. This is a good quality product from Toolzone Tools.